When I first started running the AD&D game that would one day be just referred to as ‘The Campaign’ or ‘The Ahlyen Campaign’, I had very little idea of what I was doing. I had no world, no map, no sense of much really. I had wanted to run something else, but I was told a day (or maybe only a few hours, I can’t rightly remember) that the masses had voted and they’d voted on the familiar AD&D. What I didn’t know was just how big the ‘masses’ were going to be. Showing up to a group that’s supposed to only have 4 or 5 people and finding 10 is a pretty big shock. I’m surprised I didn’t run away to be honest. It’s kind of a testament to ‘the old days’ of gaming that I could run a game with 10 or 12 people and somehow keep everything going without too much difficulty. Ah youth… Of course it also helped that I was using a system we all knew like the back of our hands. Though I didn’t have a ‘world’ in mind, I made a few choices on that very first character generation session that have shaped things ever since. 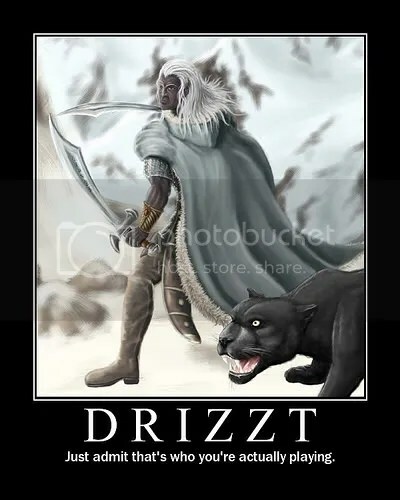 One of my players wanted to play a Drow, a race I’d grown sick of thanks to Drizzt and the Wolverineish fan-boyism that he engendered. This was something that I wouldn’t budge on. I want to say that that player was J, who would go on to create Orn, the Neutral Evil elf thief. Why I said yes to that, I don’t know. I guess I figured that, being a thief, he’d die pretty quickly. Boy was I surprised… I also quickly decided that there were no ‘orcs’ or ‘goblins’ in the setting, or any other ‘beastman’ races. I’m not sure if this choice was made on the first session or not, but I know it was quite early. I did not want a race of beings that existed solely to be killed (that role often being occupied by undead if needed). I wanted a world where conflict was driven by racial, political, and religious conflicts rather than having things that existed solely to be slain and looted without any moral qualm. In order to avoid the trope of ‘you all are in a bar when…’ I decided that all the characters belonged to a group that worked together and that prior to the adventure beginning, their home was attacked and everyone but the PC’s murdered. Instant hook. Without turning this into a play report, I’d basically stated up a few wilderness encounters along the route left by their attackers, then a dungeon at the end, an old temple dedicated to Chaos as far as they could tell, where the attackers seemed to have fled. By the end of the night, everyone had had a blast and were begging for more. Orn had deliberately cut himself on an alter, an action that would come back to haunt him, and the campaign world, for years to come, though I didn’t know that yet. Looking back at it, I realize just how ‘Old School’ that adventure was, even with its story laden trappings. So much has come out of that simple, forced, session that I often forget how organically campaigns arise. Granted, I had some fantastic, enthusiastic players…and we were all in high school which certainly helped (we could easily devote 6-8 hours on sessions on weekends). This Campaign has so shaped my gaming history ever since, that I have a hard time imagining my gaming landscape without it. It’s even influenced my taste in games as I’ve often looked for other systems to run my world with, and have consequently tended to avoid games that were heavily influenced by their default setting. I’ve also developed a sort of aversion to crunchless sourcebooks. Since my world became fleshed out, I did not need much setting material, so if it did not add some mechanical widget, I rarely had any use for it. That’s how it started, how I accidentally created a world that has become like a second home to me. In some ways, I simply can’t escape it…but honestly, I don’t want to. 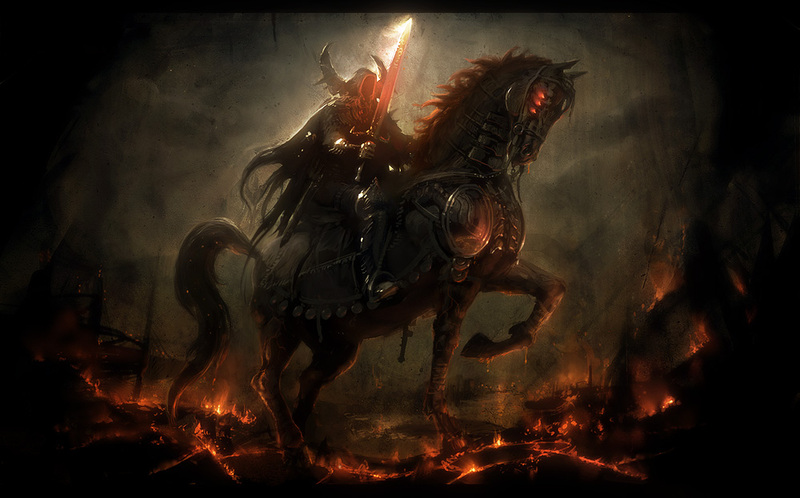 This entry was posted in Ahlyen, Role-Playing and tagged Advanced Dungeons & Dragons, Adventure Conqueror King, Ahlyen, D&D, Drizzt, Drow, OSR, Retroclone, Role-playing.